In March 2012, SEMI released a policy white paper that discusses the state of the photovoltaic (PV) solar industry in the United States and recommends actions the U.S. government should take to increase the manufacturing output and employment in the photovoltaic industry. 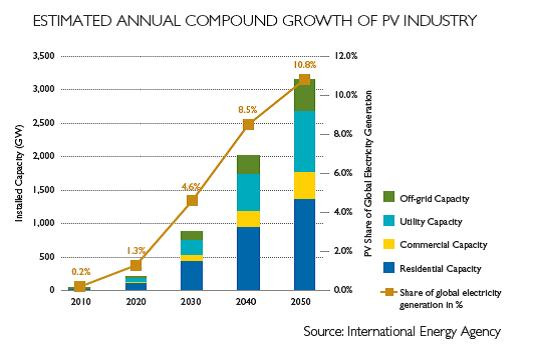 The basis for the discussion is that the SEMI PV Group believes that solar is at the beginning of a long growth cycle. Indeed, it is easy to understand the huge growth potential for solar. 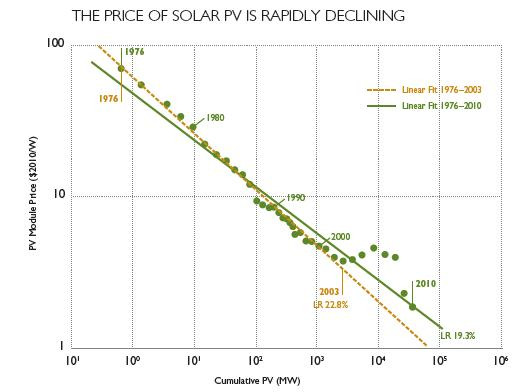 First, there is a rapid decline in the cost of generating solar power, as the paper explains (see Figure 1). This cost decline is one factor in the rapid increase in demand forecasted by the International Energy Agency (see Figure 2). We at Cimetrix are seeing an increased interest in the PV2 standard. Companies want to know how they should use the interface standard as they develop new equipment for the solar industry. We have updated our Cimetrix Introduction to SEMI Standards: PV2 (PVECI) white paper to provide a tutorial for anyone who wants to know more about the standard.